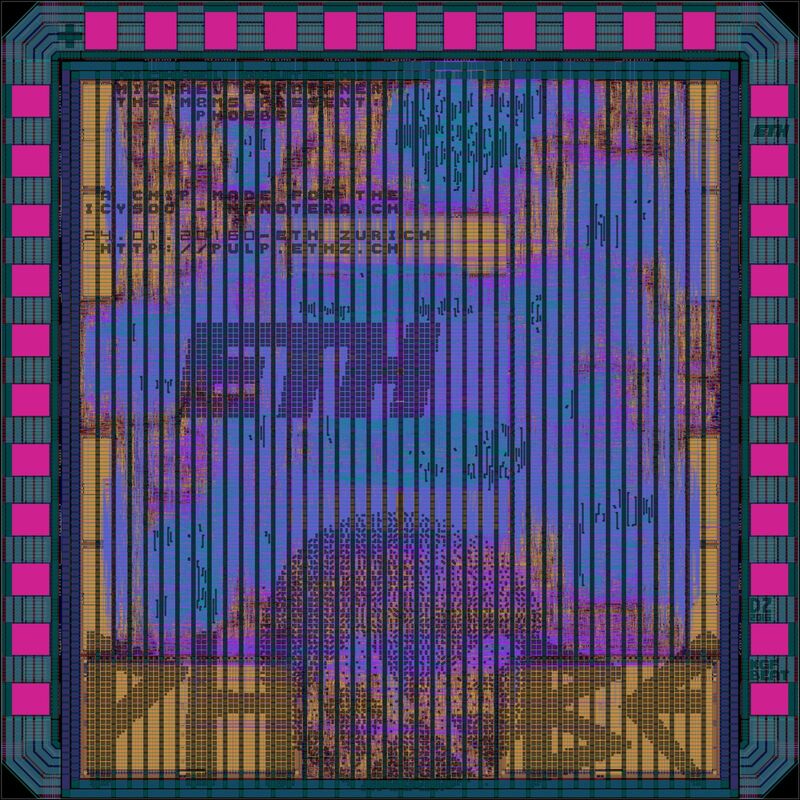 This chip is a four Or10n core mini PULP processing system with 32 kBytes of L2 memory, 16 kBytes of L1 shared TCDM memory organized into 8 banks and a total of 4 kBytes of instruction cache. In total all LNUs occupy an area of 71 kGE. We have used a multi-VT approach to reduce leakage currents in this chip. 24% of the gates are Low VT (fast), 29% are Standard VT (normal) and 47% are High VT (slow). This chip continues the tradition of naming these chips after mythological characters that have a connection to the moon. Phoebe was one of the Titans, she is the grandmother of Artemis (through Leto) and Hecate (through Asteria). In some texts the name is also used in place of Selene, completing the cycle.